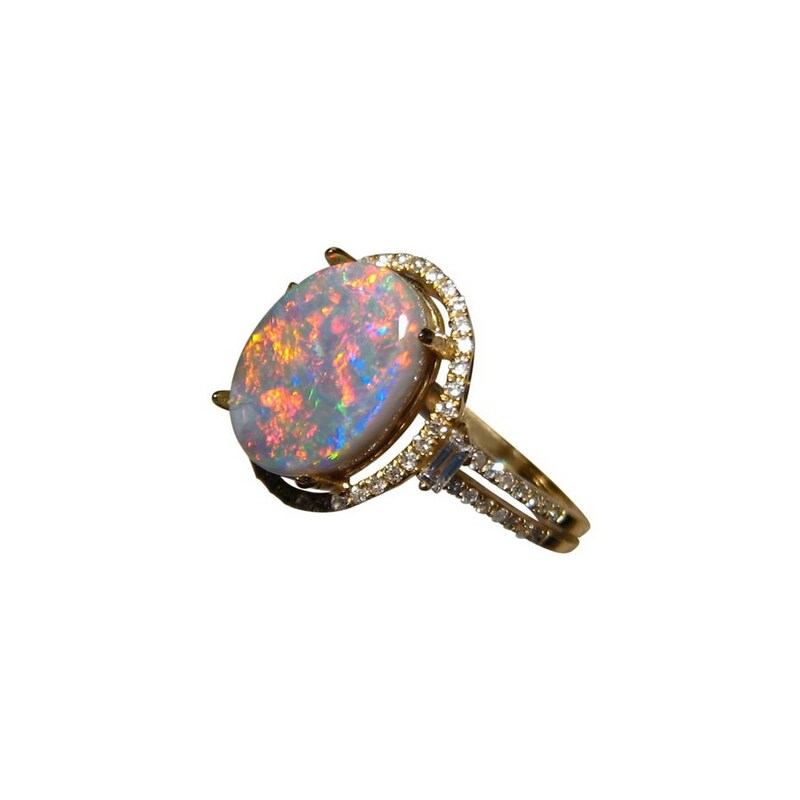 A truly stunning Opal ring with an oval Semi Black Opal accented with quality Diamonds set in 14k Gold. 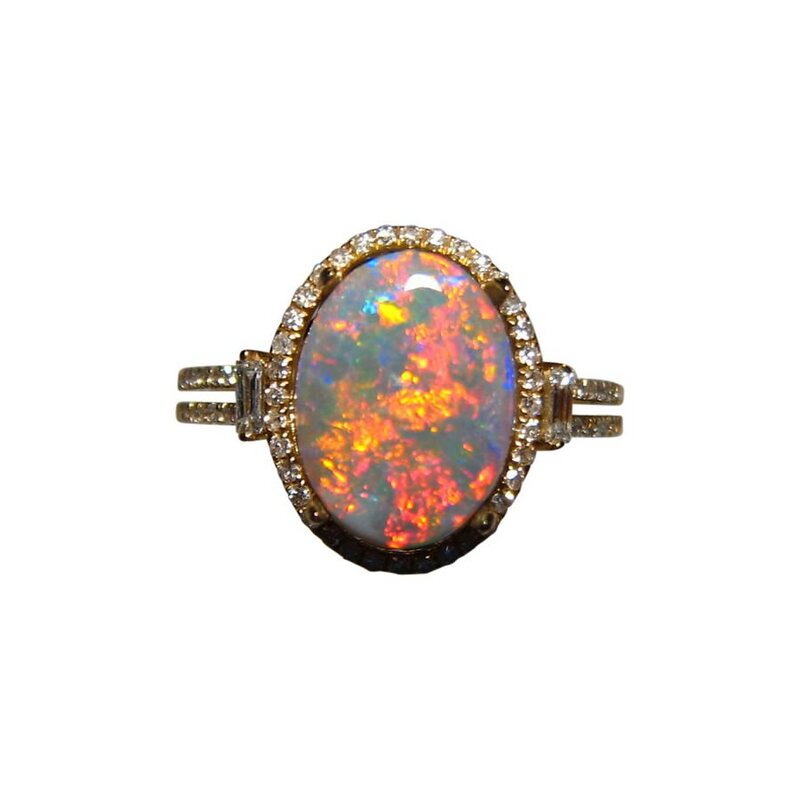 An exceptional Opal ring with an amazing Semi Black Opal from Lightning Ridge showing very bright Red and the uncommon Orange. 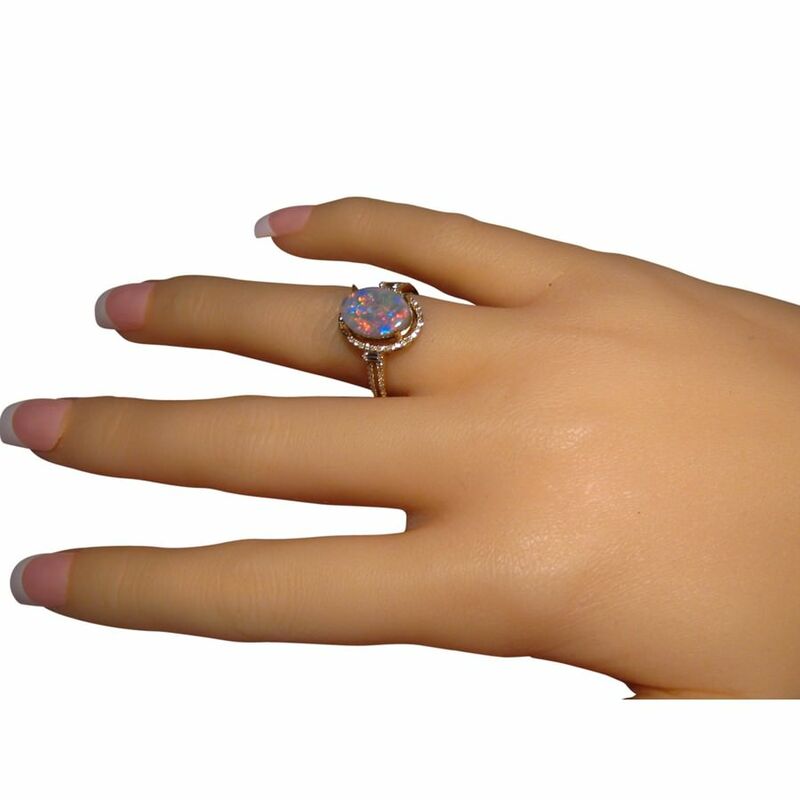 The Opal is encased with small quality round and baguette Diamonds adding plenty of sparkle and size making this a stunning Opal engagement ring. 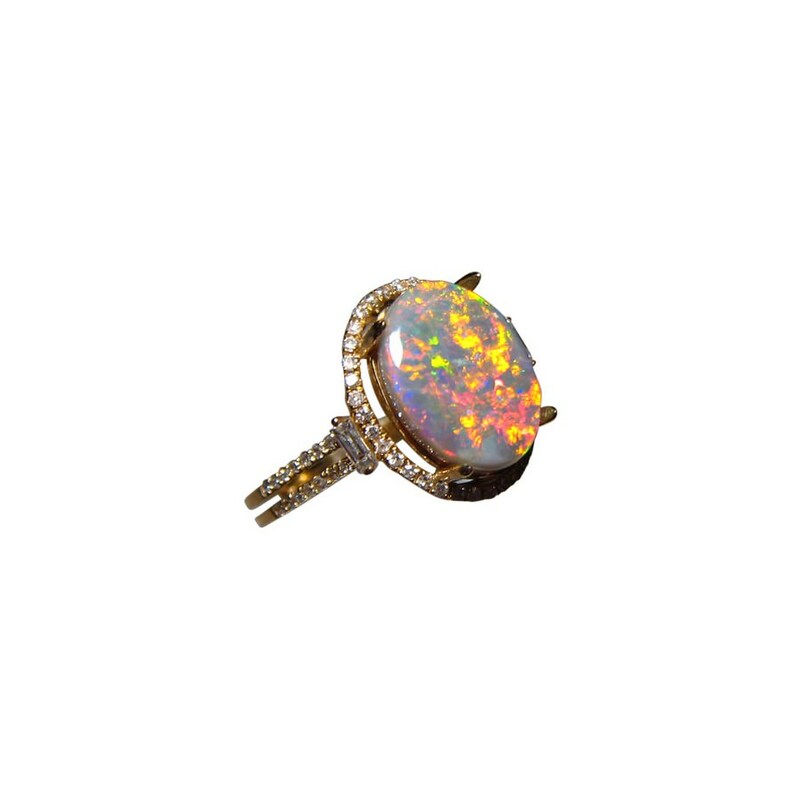 This gorgeous Opal ring is ready to ship in 14 kt Yellow Gold in a size 8 ¼ or will take about 14-21 days for any other ring size or change of gold color. 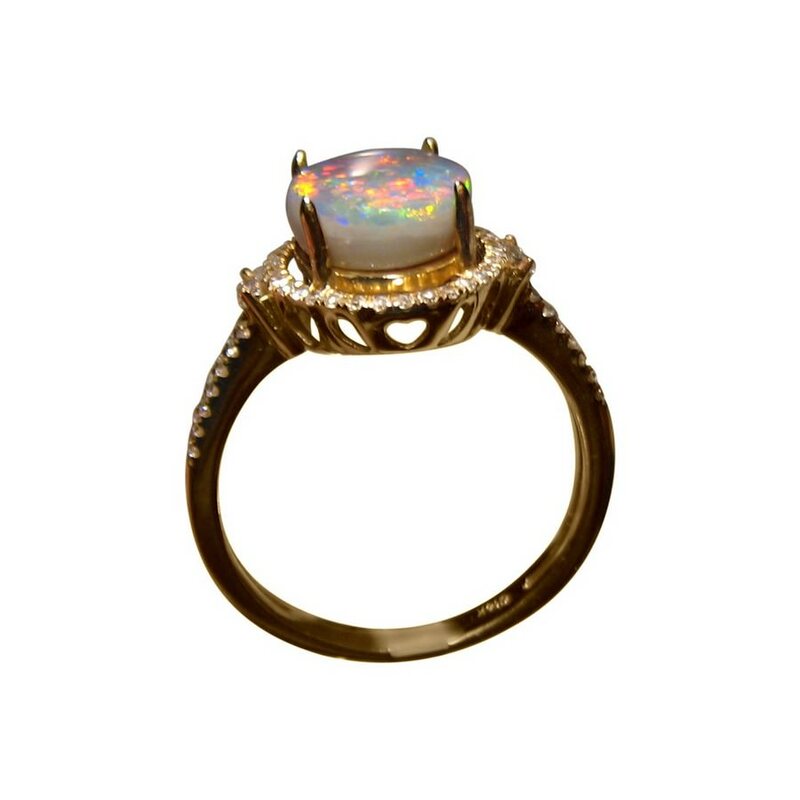 If the ring setting is not something you would wear, the Opal can be mounted into a different ring or pendant design. 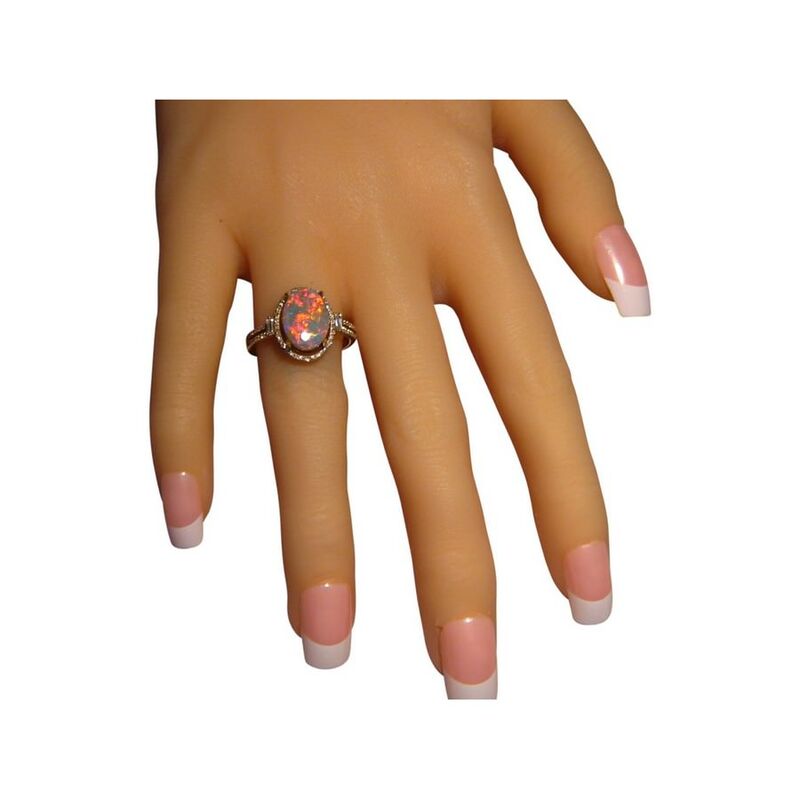 The ring can also be altered to include larger or higher quality diamonds or in any ring design suitable for the stone. Please contact through this product if you would like different options to what is shown.